Add this great headband to your Flapper costume to create your look. Accessorise with some beads to complete the 1920s look. 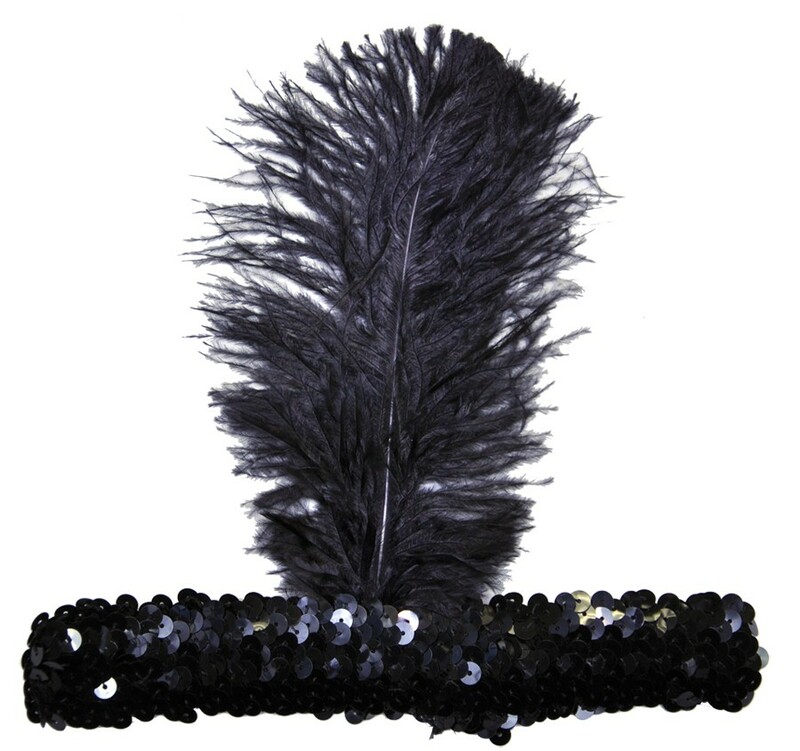 Stretch sequin headband with single feather.